It is with great sadness that I leave Turin - it really is possible to fall in love with a place. I'm also sad to leave such a lovely b&b - it certainly has been a tonic. It's left me wondering why I wasted so much time in Germany and Austria! I know I shouldn't be like that but seriously I had such a much better time here, it kinda felt like I was home. Roberto, the host very kindly takes my luggage downstairs and to the taxi, even telling the driver which station I'm going to. Since I've already been to Porta Nuova there's no great dramas when I arrive at the construction zone. The train I catch is the Intercity (it's final destination is Naples, that's a 12 hour trip!) - getting to Genoa and it's station Piazza Principe takes a little over an hour and half. Hey there, my name is Garylee and im looking to go away with friends next sumer, and im wondering if you could tell me how much the trip from Turin to Genoa cost roughly, and from Genoa are there buses that go further south down the coast, ie to get to a campsite? 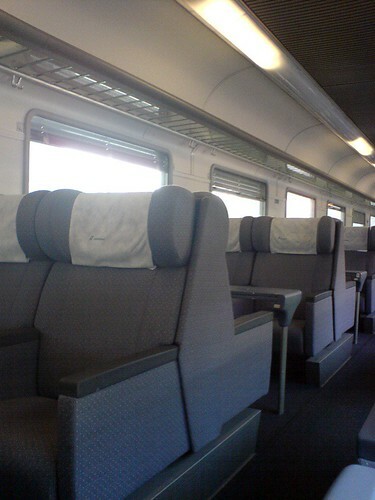 The cost depends on which type of train you're on and what class you travel in. As for buses out of Genoa I have no idea.